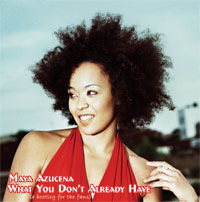 NOTE: The following article is Track A of a two-track series on American indie-jazz band MAYA AZUCENA, who performed this past April across China. The four-piece outfit - Maya Azucena (Vocals), Ivan Katz (Drums),Christian Ver Halen (Guitar) and Bruce Mack (Keyboards, guest), - are part of the The Rhythm Road: American Music Abroad program developed by ‘Jazz at Lincoln Center’ and the U.S. Department of State Bureau of Educational and Cultural Affairs, which affords MAYA AZUCENA a chance to perform internationally before a wide variety of audiences. He was a Junkyard Jewel, hidden in trash, forgotten too long. 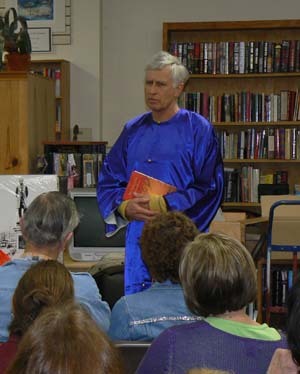 My Splendid Concubine, a novel by Lloyd Lofthouse. 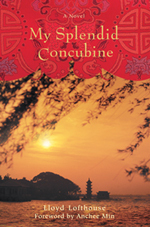 Vast are the oceans between China and the West, cognition and sensibility, history and reality, but author Lloyd Lofthouse is determined to cross them with his 365-page skiff, My Splendid Concubine. Based on fifty-four years worth of personal diaries belonging to the “Godfather of China’s modernism” Robert Hart (1835-1911), Lofthouse is a master ship builder. Constructed over 9 years, My Splendid Concubine doesn’t just present a single plank of Robert Hart’s life; Lofthouse artfully crafts a solid, captivating story of love and intimacy out of the true-life timber of history. If one’s life is a novel, Vicky has just started her first few chapters. It was a breezy spring afternoon in Beijing, when the twenty-one-year approached me with a smile. She wore a dark brown jacket, black sweater, black skirt and black stockings. Is that the fashion of this season? I wondered. Her hair is the color of gold but her roots are dark. A typical European girl should be like that, I believe. When she laughed a series of silver bells tenderly slipped out of her mouth: “Hey I’m Vicky, but you already know that.” Yes, thanks to today’s instant communication technology, we arranged everything through MSN before we met. We went through buildings, gardens, blocks, and lobbies before we reached a tiny bar inside her school. An intricate maze for me is a piece of cake for her. In no time, we were eating ice cream and chatting like old friends, though it was our first meeting. She was a bit shy, but her eyes told me that she was calm, warm and confident. Barbecued chicken smoke and Senegalese pop music fills one hallway. On another floor, mosquito coil incense and the odour of new leather bean-bags bound for Angola commingle. Welcome to the Tianxiu Building, the home of China’s largest African enclave and a microcosm for the billion dollar trade boom taking place between African nations and China. 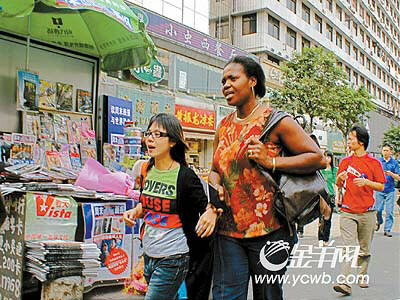 Located along the bustling Xiao Bei Road in downtown Guangzhou, tens of thousands of Africans flock to Tianxiu to purchase everything from school erasers for Darfur to hair-weaves for Kinshasa’s beauty parlours. Whilst at least 2,000 make it their own, thousands more are just here for export shopping runs. “It is hard to get hair like this in the Congo,” comments Alice Clarisse as she peruses a Tianxiu shop specialising in hair extensions. 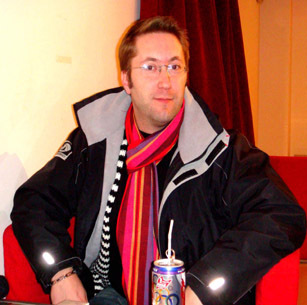 If you are a French Learner in China, if you are a French living in China, I bet you know a place named “Centre culturel français” French Culture Center in Chaoyang District. A well-designed multimedia library, a classy book store, a French language training school “Alliance Française”, as well as a nice Café named 'Lumière'. Raphael Sarri, a French man who has been living in China for more than two years is the manager of this exquisite café 'Lumière'. The name of this café easily reminds people of an invention originated by French people contributing to the modernity of this world. More than one hundred years ago, on December 8th, 1895, Lumière Brothers' Cinematograph projections of 50-seconds scenes were first on display at the Grand Café in Paris, which was believed to be the first movie in the world. To be frank, Raphael’s career has little to do with movie or cinema, but he shares a pioneer spirit with Lumière Brothers in some way.